Are you looking for the tips for your wedding photography client meetings? Many photographers make notes before meeting the prospective clients, so they can conduct themselves professionally. In this guide, we will share how to prepare for a wedding photography consultation meeting with your client. Wedding photography clients look for someone who is professional and experienced to consult for shooting their ceremony. You need to be prepared to answer all the questions of the couple, so they don’t hesitate to select you as their wedding photographer. The first thing that makes you a professional wedding photographer is having a website. Don’t have a website for your photography business? Here you can learn about how to create a photography site in WordPress. On your site, you should add a simple contact form to get the basic information you need about your client that will help you in preparing for the consultation meeting. Now you have some information about the client. Simply email them with the links of your previous photography shoots, case studies, and wedding albums. Make sure that these links and material are matching to what your client needs. Since it’s a consultation meeting, the client should meet you with a list of questions. By sending them content ahead of time, you can answer some of those questions preemptively, saving you both time. When you prepare for the meeting, you should also prepare some questions of your own. What you should ask to the wedding photography client? Well, everything. From budget to poses and all the minor details. The more you ask, the more you will learn about the client and their expectations. You should check out this list of the 11 questions wedding photographers should ask their clients. Open your website for the couple and show them the photo albums on your site. Haven’t added the photo albums yet? Check how to create a wedding photo album in WordPress. A photo album has multiple image galleries for different events of a wedding. It helps the client to understand and build their expectation. You can also talk about the 15 unique and essential wedding photography pose ideas for couples. Wedding photographers offer promotional deals to beat the competition. Sometimes the client meet the photography consultant before the ceremony dates are finalized. 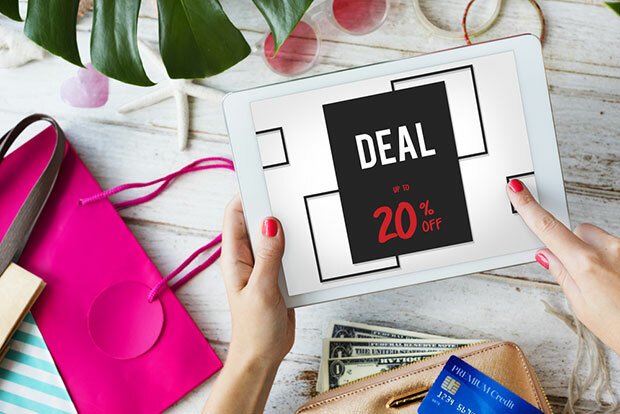 You can share the details of discounts with them, so they can take advantage of the offer by adjusting their dates accordingly. To attract more clients, you could display discounts and deals in the image slider on front page of your site. Learn how to create an image slider in WordPress. It is recommended to discuss the typical processes and boundaries with the client. These details include the wedding theme, dress code, number of guests to shoot, time you will spend on covering the event, and more. Make an ultimate wedding photoshoot checklist to avoid missing out any point. You may deal with the clients asking for extra favors or coming up with the most crazy ideas for their wedding shoot. Make sure to be calm and listen to them. It’s their wedding, and they need everything to be not less than perfect. We recommend you to share stories from previous wedding shoots, show them the photos, and make them believe in your skills. Your polite attitude will win the client. We hope this guide has helped you to learn how to prepare for a wedding photography consultation meeting with your client. You may also want to check out our guide on 3 times you should say no to a wedding photography client. In case you are having issues while creating your photography site, simply check these 25 most common WordPress errors and how to fix them.